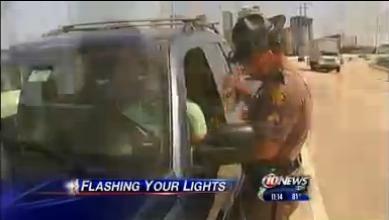 A Floridian man has decided to launch a lawsuit against authorities after finding out that since 2005, the Florida Highway Patrol intentionally handed out 10,429 fines to drivers that tried to warn others of speed traps using their high beams. Around $1,042,900 (£643,319/€709,310) was generated and would have to be refunded if the case is successful. Additionally, Eric Campbell, who filed the suit, is looking for $15,000 (£9,250/€10,500) in compensation for each motorist, which totals $156,435,000 (£96,487,000/€109,542,000) in damages, in addition to the over $1 million in refunded tickets.